The most effective awning material for reflecting heat is light coloured metal. The Boniwell Blind Metal Awning range is extensive, encompassing fixed and louvre styles. Metal Awnings can be selected to give building occupants the optimum combination of light and heat control, privacy and view to the outside. 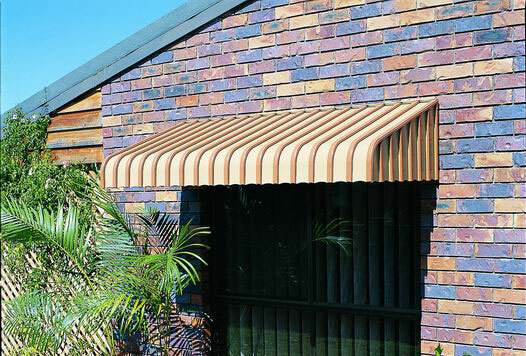 Adjustable metal louvre awnings give people control of their environment. Reduction of inside temperatures in summer significantly improves interior comfort levels.